Now that Words or Whatever is but a heart swollen memory, and I have yellow peril simmering away under my veins, and the Melbourne Poetry Map is doing phoenix things, and Julian maybe wants my loss and La Trishtessa is going to be all fado tomorrow and in a few weeks I will get some people vs places time and I even have a beautiful place to stay in Balmain … I need to starting thinking about the things I am afraid of. 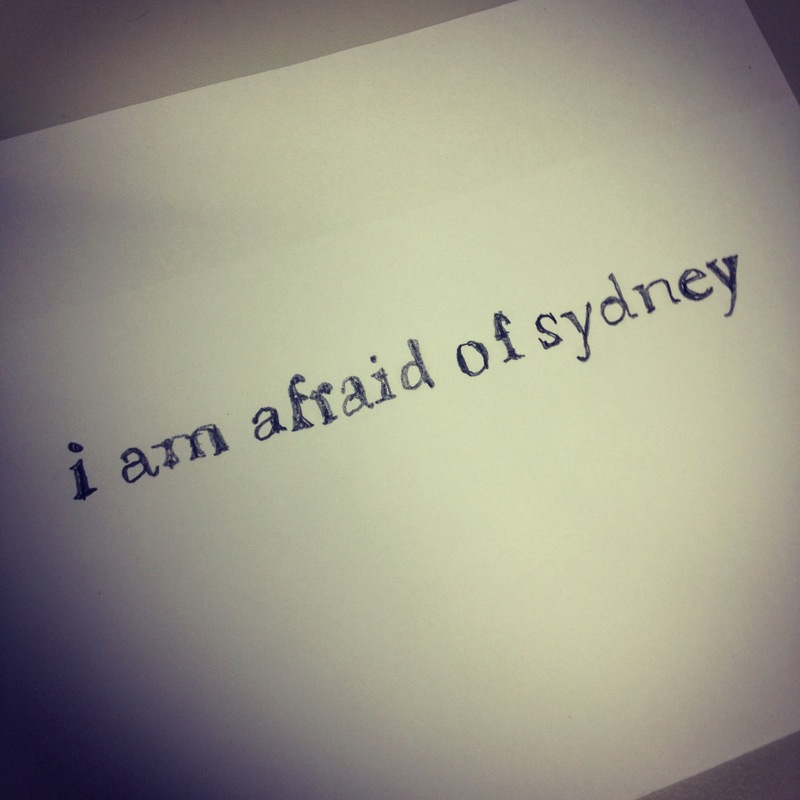 Because I’m going to Sydney in a bit. These are the bits below. In the bullet points. That’s where I’ll be. I’ll talk them each up separately in a painful strip tease of self-promotion and self-doubt. Have you ever come to a gig of mine? Do you have a friend in Sydney you would invite to come to any/one/some of these gigs? Oh look. It’s 3.33pm. This is the time of the day that I ask you to sit beside me be kind to me as I am afraid. It is not the biggest of fears that can be held, nor even the biggest of mine that I hold at the moment. But it’s one you can do something about. Would you be able to help? Thank you. I can explain it all later.